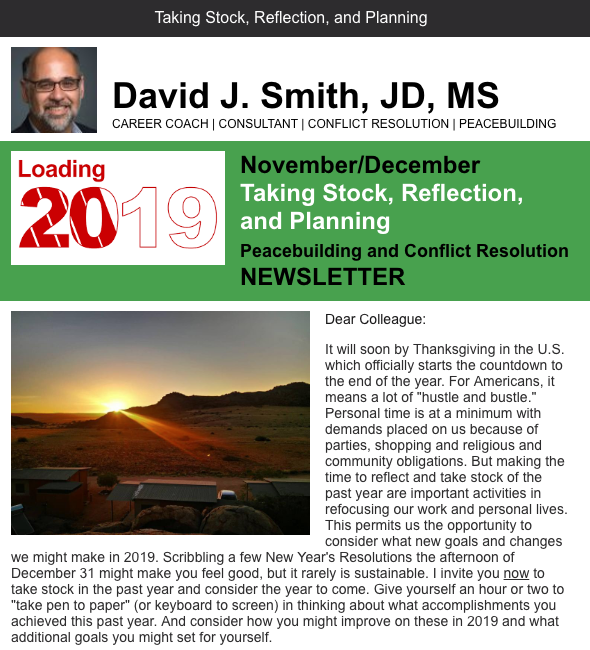 My November/December 2018 Newsletter is out! I focus in this edition on the need to reflect on the past year and plan for the coming one. The holidays are a busy time and often reflection time is lost. Now is the time to do it. Click here or below to read the newsletter.